For your enjoyment, most splash pads are open every day for the summer! 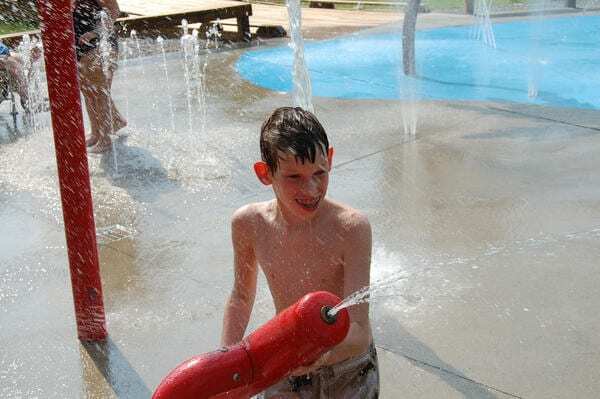 Join in the summer fun at splash pad parks! Locations have been divided into two categories: East and West. The dividing line follows the Rideau Canal and continues south along the Rideau River. What about the splash pads that are next to the pools in the fenced in area? Will the gates be open to the public or will they open the same time as the pools? You can call 3-1-1 (City of Ottawa’s line) to confirm. From what I have seen in the past, if it’s in the pool area, they open the same time as the pools, but call to make sure. We are in the midst of a heat wave and a drought here in BC and pretty much everything that involves the use of water is off limits right now! I know my grandkids would love to go to a water park right now!